Investors are abandoning traditional, actively managed mutual funds in favor of “passive” index funds, particularly exchanged traded funds, or ETFs. Wall Street has taken note and is offering a wide variety of ETFs to attract investment money. How do you tell the difference between a good ETF and a bad one? When is it better to invest in an ETF? When is a traditional mutual fund the wiser choice? ETF experts Matt Hougan, CEO of ETF.com, a leading ETF research firm and Matthew Peron, head of Global Equity at giant wealth management firm, Northern Trust provide the answers you need to make the best investment decisions on this tenth season premiere. CONSUELO MACK: This week on WEALTHTRACK, investors are flocking to passive index funds, especially exchange traded funds or ETFs. Should you join the migration? How to tell a good ETF from a bad one with index fund experts, ETF.com’s Matt Hougan and Northern Trust’s Matt Peron is next on Consuelo Mack WEALTHTRACK. 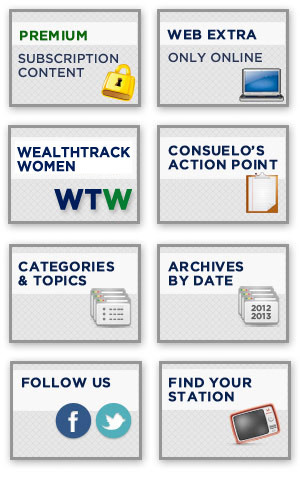 Hello and welcome to this special 10th anniversary edition of WEALTHTRACK, I’m Consuelo Mack. 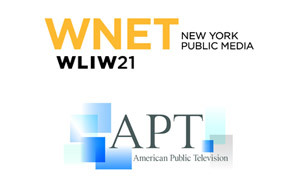 Yes, we launched this program at this time, in the summer of 2005. Our mission then and now is to help you, our viewers, and ourselves, build financial security for a lifetime. So this week we are delving into the two biggest trends in investing that are really coming into their own in the past decade. Money is pouring into passive, index funds and specifically into exchange traded funds or ETFs. Global assets in ETFs just broke through the 3 trillion dollar mark. There are nearly six thousand ETFs and Exchange Traded Products to choose from, listed on 62 exchanges in 51 countries, although more than two thirds are in the U.S.. Unlike index based mutual funds, started in 1974 by Jack Bogle at Vanguard, ETFs which were created in 1993 by State Street with its S&P 500 SPDR ETF, can be bought and sold like ordinary stock shares on a stock exchange. They are also extremely tax efficient, for reasons we will explain in a moment. However similar to traditional index mutual funds, ETFs are low cost. That feature has become a huge draw for investors. According to a recent report by Morningstar analyst, Michael Rawson, 95% of flows into funds of all types over the last ten years have gone into funds in the lowest cost quintile. And the biggest winners by far have been passive funds, especially ETFs. Passive funds now account for 31% of total fund assets covered by Morningstar, up from 14% a decade ago. ETFs are gaining market share fast. They now account for 14% of mutual fund assets up from only 4% ten years ago. The largest ETF and the most heavily traded security on any stock exchange is State Street’s pioneering SPDR 500. However the variety of ETFs offered is exploding. They come in all shapes and sizes. They are based on broad market indexes as well as tiny niches. For instance one of the most popular slices recently has been baskets of Japanese and European export companies hedged against the yen and the euro. ETFs are available in stocks, bonds and commodities with different flavors being created every day. That means it is becoming more of a buyer beware product. How to tell the difference between a good ETF and a bad one? When should you use them, when not? This week’s guests are ETF veterans, as both analysts and users. Matt Hougan is the CEO of ETF.com, a leading authority on Exchange-Traded Funds. Prior to becoming CEO he was President of North America for the firm where he oversaw its core online and print media properties, ETF.com and ETF report. Hougan writes for The Wall Street Journal, has been a 3 time member of Barron’s ETF roundtable and is an ETF columnist for The Journal of Financial Planning. Matthew Peron is Senior Vice President and Managing Director of Global Equity at Northern Trust, a leading investment management firm with nearly a trillion dollars in assets under management. Among his responsibilities is overseeing what the firm calls its “Engineered Equity Strategy” which it describes as a middle way between active and passive management. Northern Trust was one of the early users of index mutual funds and ETFs. 80% of its global equity assets, nearly $400 billion dollars worth are in indexed strategies. I began the interview by asking both of them why ETFs have become so popular. MATT HOUGAN: They are so popular. They’re rapidly taking market share from traditional mutual funds, and the reason is simple. They are on average lower cost. They’re more tax- efficient, and they provide the kind of targeted exposure that makes sense in this sort of macro-driven market. So if you want to target China or you want to target Brazil, there’s a way to do that. If you’re worried about rates rising, there are tools to do that. So you have low cost, tax efficiency, targeted exposure. They’re the right tool for today’s market. That’s why they’re growing. This page is here for technical reasons. Please click here to go to the episode page.